"Getting your credits is so much more fun and easier with the Learning Across America program! You can choose between several destinations, and the theoretical course will depend on that. I am really into history, that’s why I loved my Niagara Falls course which included not only the trip, which was perfectly organized, but also the course of brief history of the Native Americans. You’re going to meet a lot of awesome people there, but being there with my best friend was a great part of fun!" "I really enjoyed my tour with you! I had such a great time in Boston. It was the perfect combination of education and free time and I had a great weekend! My classroom experience was great, I loved to learn some political, historical and basic facts about the destination we traveled to! The teacher was great and really cared about us and our wishes what to learn! In addition to that, I made new friends from all around the world! Your tour is especially for Au Pairs a good opportunity to see different places on weekends - so my advice for any other Au Pairs would be: Go for it and travel as much as you can!" 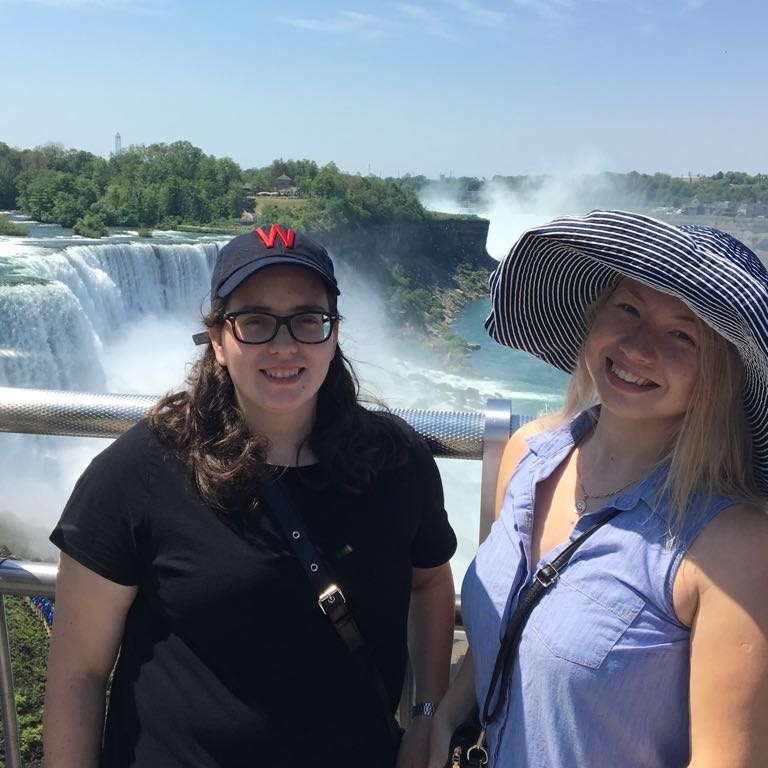 "Having already graduated from University, I wanted to use my educational credits to help me reach my travel goals while completing my educational obligations. I looked at several institutions and colleges, but for me it just was the easiest to do it through BMCC. "I was looking for a hassle-free way to earn credits and that is exactly what BMCC gave me. The class content was mostly relevant and interesting and the tours amazing. "I love that all your travel arrangements are made for you and that you get a local tour to orientate you while you're at your destination. And yet you have plenty of free time to ensure that you get to tick off items of your bucket list, without having to wait for the whole tour group. "Au Pairs come to the States for various reasons. I came with the explicit goal of using my time here to travel as much and as wide as I can. I wanted to see everything, climb on everything and take selfies with everything. Cultural Hi-Ways/BMCC gave me the opportunity to travel to close-by destinations and use my weekends off to see more of the States." and Cultural Hi-Ways offer, so she joined us in . . .
And here's Learning Across America in the news . . .
"Robyn-Lee Malan has juggled 45 hours of childcare as an au pair, Saturday classes learning about the three branches of government and a new life in a new culture over the last six months, yet the 26-year old South African offers no complaints. “You always can read about another country, but it’s another thing to experience it,” she said. "Malan was one of nearly 300 au pairs from host families throughout the Northeast to travel to Washington D.C. over the weekend as part of the government’s three-decade long cultural exchange program. The trip served a second purpose for the au pairs: to fulfill education credits by the U.S. State Department required under the J-1 Visa." Read the complete PBS article here. © 2018 Cultural Horizons Unlimited, Inc.